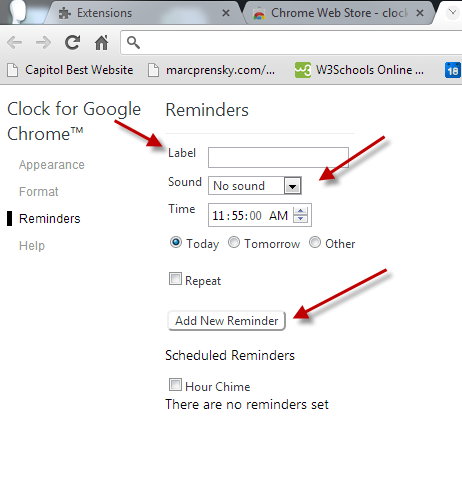 Get reminders from your Chrome Browser. Google Extensions are extra features that can be added to your chrome browser to add functionality and productivity while using chrome. One of the extensions available is Google Clock. Google Clock allows you to open a clock in your browser and set reminders with sound that will alert you at a specific time. 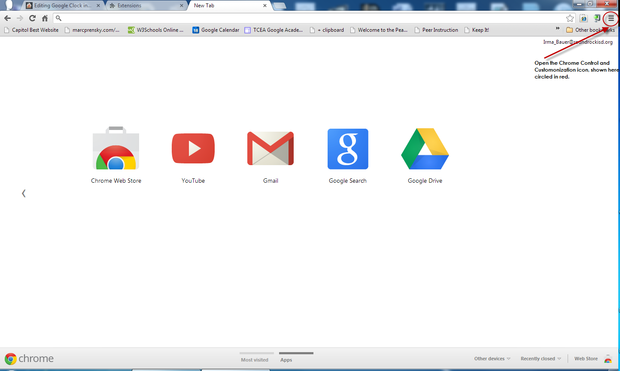 To add Google Clock open a chrome Browser, by going to start, Google Chrome. Chrome will open. 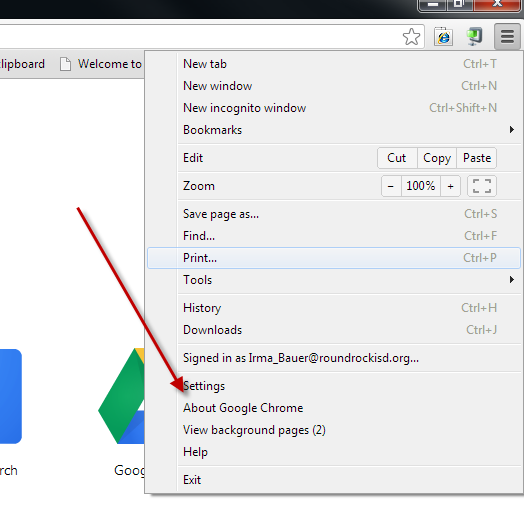 If you are not signed into chrome, sign in using your Round Rock ISD gmail sign in. 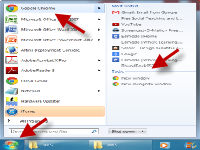 Click on the Chrome Controls and Customization icon as shown below. When you click on the google control icon, a window will appear, click on Settings. On the left hand side, click on Extensions. 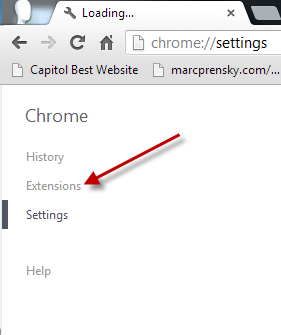 A window will open that shows all the extensions currently installed on your chrome browser. At the bottom, click on More Extensions. 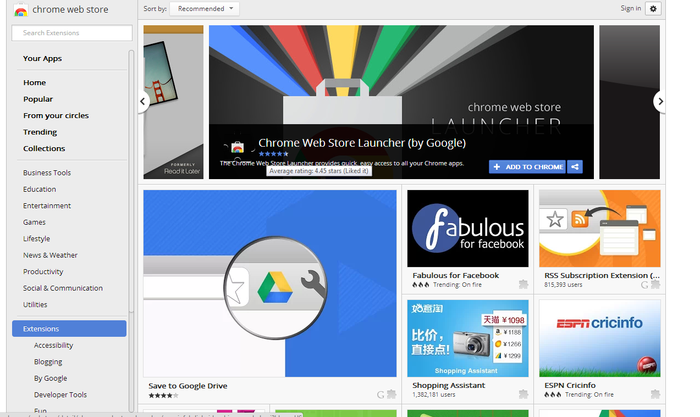 When the Chrome Extensions window opens, you will see many different extensions available to add to your chrome browser. You can also search for extensions. Type in Google Clock to find the clock extension. If you want to browse other clocks, type in clock and browse through different clock extensions. 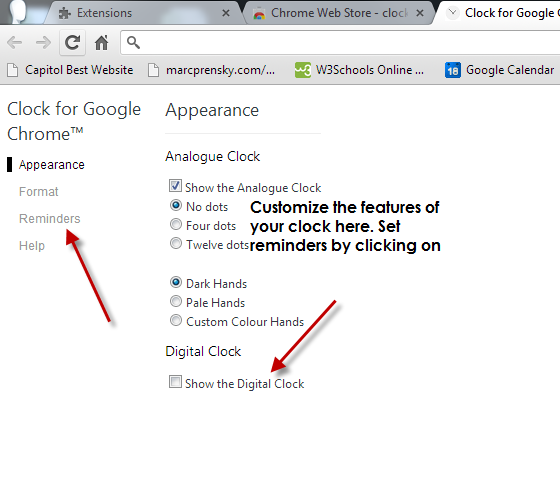 To add clock for Google Chrome, click Add to Chrome. 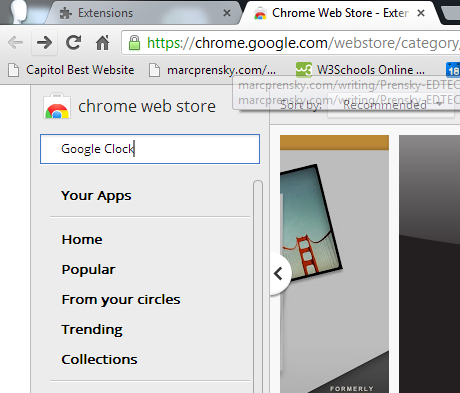 To open the clock you will need to click on the clock hands icon in the upper right hand corner of your chrome browser. The link is next to the chrome controls icon. Once the clock opens, you will want to set your preferences and reminders. Click on the gear in the lower right hand corner of the clock window. Customize the features of your clock and go to reminders to set your reminders. To set a reminder start by labeling your reminder. Attach a sound to your reminder by choosing one from the Sound drop down menu. No sound is the default. Set the time for your reminder. To repeat the reminder click on the repeat button. You will be given the choice to repeat every day or just certain days. Click on Add New Reminder to save. Visit the Google Clock Website for more details and help with Google Clock.